In Deadly Echoes, I use my main character’s past as a cornerstone for my plot. Sarah has struggled for years because of the murder of her parents – not only through trying to deal with their loss – but also because she and her sister ended up in the foster care system. Hannah, Sarah’s beautiful sibling, was adopted – but Sarah wasn’t. That situation, along with a careless comment by a social worker, has shaped Sarah’s image of herself. The insecurities born from that experience are still affecting her as an adult – and are center to the events that unfold around her as my story progresses. Writers use the past a lot in their novels. Why? The past can help to “show” our characters so we’re not caught “telling” our readers who they are. The past is also a way to bring an instant connection between readers and characters. Almost all of us have ghosts that whisper from the past. Whether they come from tough situations, memories of people we’ve lost, or even a yearning to revisit a more pleasant time in our lives, we are all shaped somewhat through our previous experiences. If a writer can quickly present a character readers can identify with, it’s possible to form a bond at the beginning of your novel. If you can accomplish that, your readers will want to finish the story because they are emotionally invested. In Sarah’s case, although she’s come a long way by the time the story begins, she is still influenced by loss and insecurity. As she changes and evolves through conflict, I hope readers will not only relate to her, but they will also find something in her developing relationship with God that they can connect to. Nancy Mehl lives in Festus, Missouri, with her husband, Norman, and her very active puggle, Watson. 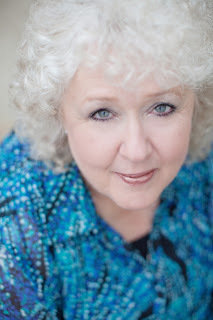 She’s authored twenty books and just finished a new series for Bethany House Publishing. The first book in her Finding Sanctuary series, “Gathering Shadows” was released in May of 2014. The second book, “Deadly Echoes” became available in February. The third book, “Rising Darkness will release late in 2015. She is also working on an Amish cozy mystery series for Guideposts. To enter the giveaway, scroll to the bottom of this page and leave a reply. Please note: When entering your e-mail address in the provided form, WordPress does not expose it to anyone but the owner of this blog, and it will be used only to contact the winner of the giveaway. Enter by midnight, Sunday, February 22. Would love to read! Thanks for the giveaway. Sounds like an interesting book. I liked your cozy mysteries and hope you write more of them. I have to admit, I am not a huge Amish or suspense fan. However, I LOVED her first book in this series. Gathering Shadows (Finding Sanctuary Book #1. Nancy is a gifted writer. Sounds like a great book-would love to read it. Enjoy reading Suspense Sisters and am excited to read the second book in your series Finding Sanctuary, Deadly Echoes. Thank you for the interesting blog. I would love to win a cupy of this book, please enter me in the draw. Many thanks. Suspense is my favorite genre, and I’m always looking for different authors to read. Please enter me in your drawing. Nancy, you are a brilliant writer! I’ve enjoyed every book I’ve read and look forward to this one. Nancy, I enjoyed your informative post. Very interesting. Your book sounds intriguing and I’m looking forward to reading it.